Directed by Ruckus and Lane Skye, Georgia-made film Reckoning, starring Danielle Deadwyler, screens at the Plaza Theatre on April 7. 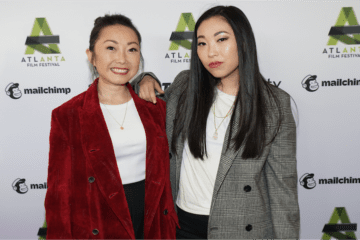 For an event with such longevity, the Atlanta Film Festival (ATLFF), now in its 43rd year, has chugged along at a slow-but-steady, perhaps even boring pace for much of its existence. But in recent years, just like the city itself, the ATLFF has experienced some significant growth. When executive director Chris Escobar came on board as executive director in 2012, the ATLFF screened about 140 films chosen from 1,500 submissions, and around 9,000 people attended. By 2018, the festival’s attendance had grown to roughly 28,000 and featured 180 films selected from 8,400 submissions. Many of this year’s titles have direct ties to Georgia, as ATLFF’s programming reflects the state’s booming industry. It’s also worth noting that for the 2019 festival, 50 percent of the films were made by women and 40 percent by people of color. Departing from the traditional festival model, ATLFF is an intentionally decentralized event. Screenings, panels and social events are spread throughout the city at venues such as the Plaza Theatre (owned by Escobar), 7 Stages, Dad’s Garage, Hilan Theatre, Hotel Clermont, Paris on Ponce and even the Beltline. So take a hike, grab a bike or, if you absolutely must, hop on one of those electric scooters and check out Atlanta and the world through the prism of the 2019 Atlanta Film Festival. Afterlife. This dip into magical realism from the Netherlands first comes across like a cousin of Amélie, as a droll narrator introduces us to a young girl named Sammie and the “first time” she was born in 1990. As the movie continues, though, Afterlife deepens and becomes a meditation on the ways people are hardwired, likely to make the same mistakes even if given a do-over. That’s what happens when Sammie dies very young, reunites with her pre-deceased mother, Vera, in the next world and wrangles with a civil servant angel to return to earth. In an alternate take on reincarnation, Sam is inserted into a second timeline version of her prior life. Growing up yet again, she bears witness to a sadder, darker version of the mom she originally thought was perfect. The movie is a wise, bittersweet charmer. Always in Season. This timely documentary centers on the 2014 death of African American high schooler Lennon Lacy, found hanging from a swing set at the end of someone else’s belt. The police called it suicide, but Lennon’s friends and family believe it was a modern-day lynching, possibly sparked by Lennon’s relationship with a white single mother. The case is still unsolved. In the film, director Jacqueline Olive toggles between Lacy’s story and another unsolved case — the 1946 Moore’s Ford lynchings of two couples in Monroe, Georgia. Each year, in an interesting reversal of those Civil War cosplay recreations, locals stage an on-site reenactment of the Monroe lynchings, viewed by a largely African American audience. It’s an unnerving spectacle shown on screen, but an intentional provocation designed to keep the case alive in people’s minds more than a half-century later. Greener Grass. At their sons’ soccer game, a mother gives her newborn baby to a friend, a young boy sings happy birthday to his father and turns into a dog and there also happens to be a murderer on the loose, driving around in one of the golf carts everyone uses in this pastel-colored community (very Peachtree City). Shot in Georgia, Greener Grass is an absurdist suburban satire from writer-stars Jocelyn DeBoer and Dawn Luebbe, which reminded me at times of a previous ATLFF, Atlanta-shot film I enjoyed, Congratulations! That film had a central mystery to hang its odd tangents on; Grass, by comparison, just has a nonstop accumulation of top-this jokes that don’t add up to anything bigger. Some folks may dig this from start to finish. The cast is admirably committed to the demented, anything-for-a-laugh comic approach, but I sort of felt, by the end, that the original, 15-minute short this was spun from might have been the right length. Pageant Material. This feels like a gay, shaggier cousin of Netflix’s recent Southern beauty pageant comedy, Dumplin’, which is neither a diss nor a compliment. Jonothon Mitchell’s Georgia-shot comedy-drama follows gay Alabama teen Rodney (Hart Morse) as he fights for dignity against his vehemently homophobic stepfather and stepbrothers, who treat him like a boy Cinderella. As in Dumplin’, he gets taken underwing by a magical drag queen, Evah Destruction, traveling to the big city of Atlanta to compete in a teenage drag competition. The movie is as sweet as a big slice of cake — and probably just about as good for you. 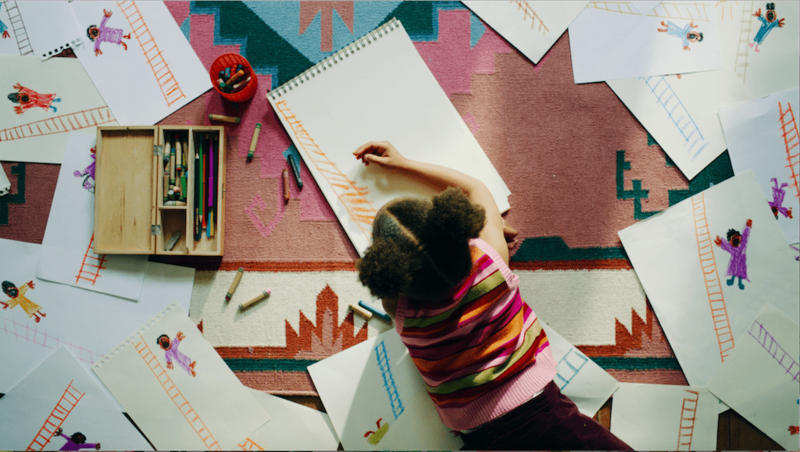 Pageant Material, directed by Jonothon Mitchell, screens at Dad’s Garage on April 9. Reckoning. 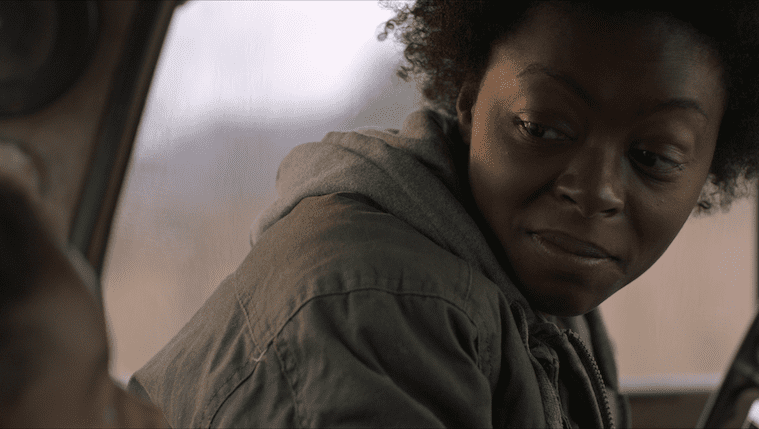 Shot in Hiawassee and driven by a powerful central performance by Danielle Deadwyler, husband-wife duo Ruckus and Lane Skye’s thriller Reckoning is a tasty, bloody helping of modern-day Southern Gothic. Deadwyler plays Lemon, proud mother of a young boy, whose husband has gone missing on some sketchy errand. In this testy mountain community, longtime agreements known as creeds are observed, and only violently broken. Lemon finds that out the hard way when she’s visited by a couple of Runion brothers, sons of the fierce matriarch Tommy (Catherine Dyer, also seen in Pageant Material), who masquerades as a sunny, sugar-and-spice homemaker. The rules and ancient resentments are hard to untangle at first, and there’s a digression involving some back-to-nature cultists that feels a little silly. But Reckoning’s second half tightens into a work of clockwork suspense. Soundless Dance. Pradeepan Raveendran’s film is almost too successful at what it’s trying to do. Set in 2009 Paris, it dramatizes the agony of a Sri Lankan man, Siva (Patrick Yogarajan), caught between loyalties. A refugee from his homeland, torn by ongoing civil war, Siva works a menial kitchen job (the scenes there unfold in painful real time) and learns that his application for refugee status has been denied. He faces deportation, but that reality is nearly beside the point, since the man’s guilt and fear start causing him to dream his way back into his childhood memories and into the present-day horrors of refugee camps. This slide into despair and possible madness is well-made but sometimes a hard watch. Speed of Life. David Bowie dies and disrupts the time-space continuum — but we knew that when it happened in 2016, right? That’s the premise of Speed of Life, when June’s (Allison Tolman) grief over the musician’s death drives her into a testy relationship talk with her boyfriend Edward (Ray Santiago). Edward disappears mid-argument by stepping through a wormhole in her living room. Cut to 2040, and June is now played by the estimable Ann Dowd. Nearing 60, she faces internment in a “government care facility” designed for elders in a future even more youth-obsessed than our present. Planning to run away before then with her friend Sam (Jeff Perry) — who would like to be more than that — her life gets upended with the sudden reappearance of Edward, not one day older. Liz Manashil’s sci-fi romance doesn’t make much sense if you think about it too much (like Afterlife), but it’s sweet, and buoyed by lovely performances. You Are Here: A Come From Away Story. I haven’t seen the musical Come From Away, but I bet it would make me get as lump-in-throaty as this film, about the real-life community that inspired it. Moze Mossanen’s documentary takes us to Gander, Newfoundland, pop. 9,000, to that day in September 2001 when 38 planes and 6,600 travelers from all over the globe descended on their airstrip and had to stay for five days after the panic of 9/11. Panic quickly turned to unexpected bliss as the town’s stalwart residents took the strangers in, fed them and treated them like, well, human beings. I won’t spoil some of the lovely stories that emerge from the situation, but if, like me, you’re a sucker for displays of simple kindness — in a time when we need them more than ever — you’ll have a lovely time watching this film. Besides a regional connection (shot in Georgia or shot by Georgia talent), there is no thematic element that ties these films together. Instead, they’re a showcase for how incredibly diverse and accomplished filmmaking in this state has become. Nobody’s Darling (14 min.) introduces us to a desperate young woman who’s tricking to make money to get to California. At a bar, she meets a widower traveling through, and they share a sweet, platonic night learning a little about each other in a shabby hotel room. Writer-director Robyn Hicks’ work is simple and humane. Director James Martin’s Being with Elephants (12 min.) takes us to a much more exotic location, Kenya, where the movie follows rangers at the Elephant Aware camp. They track the pachyderms, run interference between the animals and locals who could get stomped while gathering water and fight the good fight for animal conservatism. It’s a compelling day-in-the-life that leaves you wanting more, in a good way, and it’s distinguished by some deeply detailed HD photography. Gryphon Animo (11 min.) is MT Maloney’s visually striking animated riff on old fairy tales. The look is intentionally low-tech 2D as a young prince travels dangerous lands to find a magic feather to save his ailing sister. The narrative is a little muddy, and I’m not sure I would have followed it without help of a synopsis. Unlike tricksters of old fables, Gryphon Animo’s kid gets past monsters not through guile but by shooting them all up with a high-powered rifle. Kristian Melom’s dear, dreamer (11 min.) follows poet Jason Reynolds into classrooms, where he talks about what goes into being a writer. Like Being with Elephants, dreamer makes excellent use of HD’s visual clarity in its poetic images of school desks in weedy fields and portraits of students. Other Georgia shorts worth checking out: Adammo Ebo’s Honk for Jesus. Save Your Soul (15 min.) is a swift, broad satire about a prosperity minister and his wife trying to recover from a scandal by posing on the roadside with a life-size statue of Jesus. It’s a funny riff that U-turns into a serious finish. Brantly Watts’s Spoon (10 min.) shares some DNA with Nobody’s Darling in the tale of a lonely young woman who pays to have a man come to her hotel room. What looks at first glance to be a sexual exchange turns into something much kinder and more touching. In Sheep (21 min. ), director Jonathon Pawlowski presents a death cult in the last minutes before members drink the fatal “nutrients” promised to propel them to their comet — and he makes the situation improbably hilarious thanks to actors Paul Walter Hauser and Edwin Kho playing a couple of misfits who literally and figuratively don’t drink the Kool-Aid. Among the many shorts in the festival, here are a few worth checking out. Hitting the festival with a shiny new Oscar for best live action short, SKIN (21 min.) introduces us to a 10-year-old boy who loves his mom and dad, a couple of white supremacists (Jonathan Tucker and Danielle Macdonald) who refer to their kid as an epitome of “our next generation.” Those words have a terrible resonance after an innocent grocery store encounter with an African American man and his own young son turns violent. Though the O’Henry-like twist ending may feel a little glib, the assured velocity of the filmmaking will make you want to see writer-director Guy Nattiv’s full-length adaptation of the material, which he’s already wrapped. Miller & Son (21 min.) stars Jesse James Keitel as a talented young mechanic at her family-run garage who has a double life as a trans woman. As in Pageant Material, the theme is about the risks of trying to find your true identity in a hostile environment, and writer-director Asher Jelinsky delivers the message with grace and sensitivity. From Tunisia, Brotherhood (25 min.) also dramatizes a tense family standoff. The eldest son of a herding family returns from a year away in Syria, bringing with him a very young bride. The girl’s age causes the father to make a terrible mistake of judgment.